Photographer Darius Twin created this image using the technique of 'light painting,' which involves moving a hand-held light source in front of the camera. After he posted it on his Facebook page in October 2013, it soon went viral. 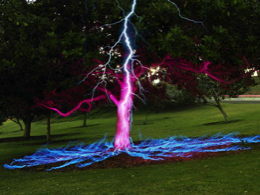 However, the Internet recaptioned it with the claim that it was an actual image of lightning striking a tree. In its original context, it was clearly an art photo. 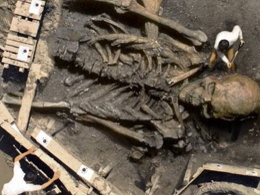 Despite what this photo appears to show, archaeologists did not unearth a giant human skeleton in Saudi Arabia. The fashion designer never actually included a SARS mask in any of its collections. 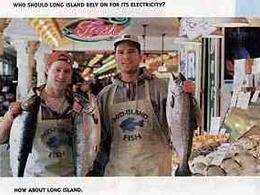 This ad was supposed to express support for Long Island, New York businesses, but viewers noticed it showed a Seattle fishmarket. 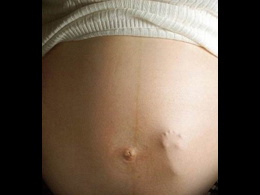 The photo made headlines when it surfaced in July 1991. It appeared to show three American fliers, who had been listed as missing during the Vietnam War, holding a sign with the date 25-5-90. The implication was that the men were still alive somewhere in south-east Asia. 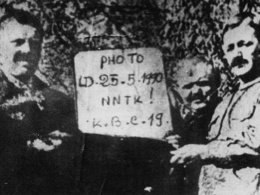 But a Pentagon investigation discovered it was actually a doctored version of a 1923 photograph of three Soviet farmers. 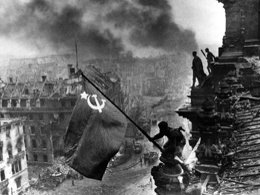 This photo was both staged and doctored in an attempt to create a Soviet version of the Americans' Raising the Flag on Iwo Jima image. In 1933, a picture supposedly showing Adolf Hitler as a baby began circulating throughout England and America. The child in the picture looked positively menacing. However, the child wasn't really the infant führer. 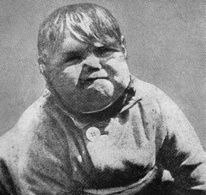 In 1938 a Mrs. Harriet Downs of Ohio happened to see the picture in a magazine and immediately recognized it as her son. Someone had darkened the shadows around the child's face to give him a more sinister look. An early example of how a celebrity's appearance could be tidied up in the darkroom. 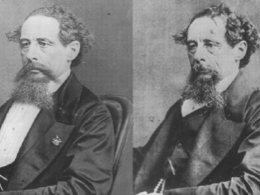 The portrait of Dickens on the right was taken in 1861. But during Dickens' 1867 tour of the U.S., the Matthew Brady studio used darkroom techniques to improve the photo, producing the portrait on the left, which they sold to the public, promising that it showed "Mr. Dickens just as he is in his readings." 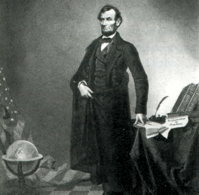 This standing portrait of Lincoln was created soon after the American Civil War. It hung in many classrooms, but Lincoln never posed for it. An unknown entrepreneur created it by cutting-and-pasting a headshot of Lincoln onto a portrait of the Southern leader John Calhoun. This was done because there were hardly any appropriate "heroic-style" portraits of Lincoln made during his life.